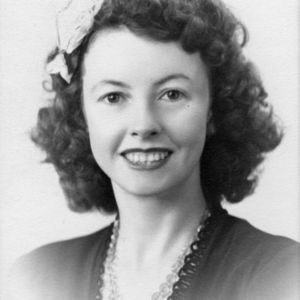 Elizabeth Betty (Heron) Blake, 95, of Vernon, beloved wife of the late Felix King and Robert Blake, passed away peacefully on Tuesday, January 6, 2009 at Fox Hill Nursing Center in Vernon. Born in Rochester, New Hampshire, daughter of the late James and Annie (Townsend) Heron. She lived most of her life in Boscawen, NH, but early in her married life Betty and Felix lived in the Texas oil fields where both their children were born. She moved to Vernon in 2003. Prior to her retirement in 1968, Betty was employed by the State of New Hampshire as a medical secretary for 10 years. She enjoyed painting, singing and playing the piano and the key board. She would often play the keyboard at the nursing home for the residents. She loved her cats and adopted many a stray when they appeared in the barn of her beloved house in Boscawen, NH. She had a passion for acting and was in over 100 plays in her lifetime. She was a member of the Concord Community Players and sang with the Pitch Pipe Choral Group. Betty loved to play games, and she was especially good at Scrabble. The Fox Hill card and bingo games, plus the various music and animal programs were of great enjoyment to her, as were the wonderful members of the recreation staff that sponsored them. She was a loving and devoted daughter, wife, mother, grandmother, great grandmother and great great grandmother who enjoyed spending time with her family and friends. She is survived by her beloved children, Barbara Thomas and her husband Robert of Vernon, and Richard King and his wife Jean of Trumbull; five grandchildren, David Thomas and his wife Nancy of Vernon, Elisabeth Noel and her husband Joseph of South Berwick, ME, Catherine Guillemette and her husband Lawrence of South Windsor, Kristen Walsh and her husband Robert of Stratford and Mark King and his wife Catherine of Hamden; 10 great grandchildren and a great great grandson. Bettys family would like to send special thanks to everyone at Fox Hill Nursing Center for their love, friendship, and excellent care while she resided there. Her family will receive friends for calling hours on Saturday, January 10th, from 1 to 3 PM at the Ladd-Turkington & Carmon Funeral Home, 551 Talcottville Road (Route 83), Vernon, followed by a funeral service at the funeral home beginning at 3 PM. Burial will be in Pine Grove Cemetery, Boscawen, NH in the spring. Memorial contributions in her memory may be made to the ASPCA, 424 East 92nd Street, New York, NY 10128-6804 or American Heart Association, 5 Brookside Drive, Wallingford, CT 06492.